Why not create a Minimalist Uniform Wardrobe today? Our wardrobe can consume a lot of time and money unnecessarily. We spend time shopping for it. We spend time preparing it, mixing and matching it daily. Why? Sometimes getting an outfit together takes way more time and energy than it should. Do people really notice what you wear? Some say not really and others say absolutely. Would anyone notice that you have created somewhat of a minimalist uniform wardrobe to save time and money? Would this also simplify our lives? If what you wear fits you, is clean and in good condition, no one really cares what you wear. People would never notice your minimalist uniform wardrobe. Why the wasted time and expense on an elaborate wardrobe? As long as your clothing is somewhat in style you should be fine. I mean you will not get away with wearing a pirate’s costume (in most cases) but any style within the last 20 years should do. Right? LOL. To save time I would like to create a Minimalist Uniform Wardrobe to wear. 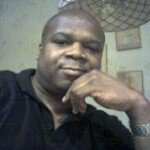 I would like to save time by not selecting clothing to wear daily and I would like to save time and money doing less shopping for that clothing. Not shopping would be a big time saver for me. I would like to walk into a mall select a type of pant and top, purchase about five or six of each and leave the mall in 30 mins flat. This may be a guy thing but that would be heaven for me. The minimalist uniform wardrobe is designed to save space, time, money and reduce the negative effects of over shopping. The minimalist time and money saving uniform will be different for everyone. Also, you may need more than one uniform. It’s like a Policeman or Fire Fighter. They have what they wear for daily work and they have what they wear for dress situations. For what I do business casual works for me almost always for me. I am looking to create a Steve Jobs look. Steve Jobs was always seen with a black turtleneck shirt and blue jeans. Nothing fancy, just simple and efficient. I will choose a similar comfortable pant and top combo. I will purchase about five or six of both and wear hem Every day. Yes, I am at that point. I am loving minimalism and posted about downsizing my wardrobe earlier. When I posted about wardrobe earlier I explored type and quality. I found it was better to buy high-quality clothing. The fact that my Minimalist Uniform Wardrobe was much smaller and I was wearing pieces much more often, the lower quality clothing did no hold up well. The lesser quality clothing wore out very quickly. If you need business attire I could see you adding more variety to your uniform. I could see a guy having a few suites and maybe white shirts or a woman having a few pants, skirts, tops and a blazer. 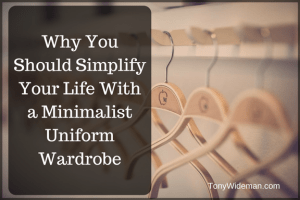 For me, the purpose of creating a Minimalist Uniform Wardrobe is to save time, money and brain power. Up and out of the door quickly without even a second thought. My hope is to have to choose what to wear every day to be effortless. I would like to save massive amounts of time buying and choose to clothe. The word massive may seem to be overkill but this wasted time can add up. I don’t even want to waste brain power thinking about it every day. I will not be like Steve Jobs but close to it. Just think about it. Steve Jobs sending a shopper to buy his classic black turtleneck top and a pair of blue jeans by the case. Or maybe he purchased them himself online and had Amazon Prime next day delivery. How cool and easy is that for everyone? Quick and fast. No thinking and no disappointment. Five pairs of pants and five tops will last months and I will spend the time and money saved with loved ones or doing what I really love. 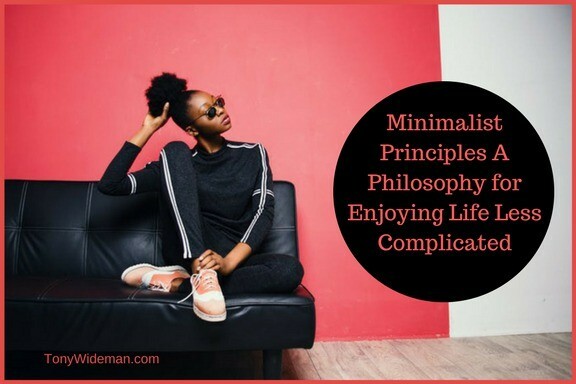 Activities and Hobbies can be excluded from the Minimalist Uniform Wardrobe ritual. These are done during leisure time where I will be doing and spending time with the ones I care about. The fun times, where time and urgency are not important. These are the time we are shooting to have more of. These activities also often require specialized clothing anyway. You can take parts of this Minimalist Uniform Wardrobe and craft it into your daily uniform but even that seems like too much work for me. Remember we are looking to save time and move towards ease of use and less possession. 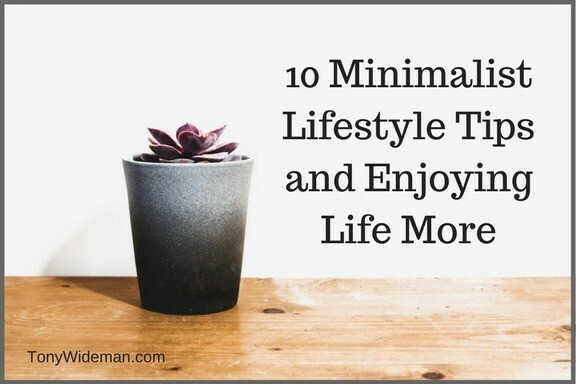 Use this time to relax and unwind. The uniform will be used to save time, have cut out stress and clutter during the work week. The weekends and down times are to be enjoyed! 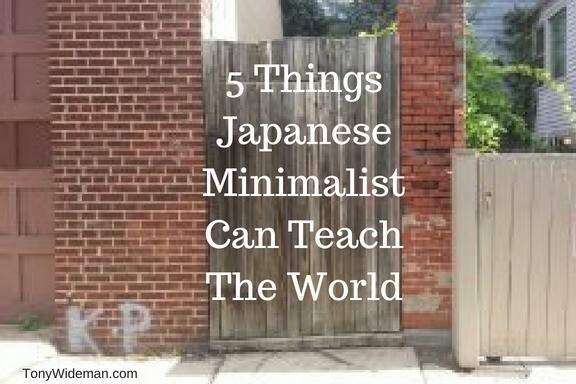 Why Not Wear Minimalist Uniform Wardrobe? The other side of the coin is the ability to wear what you like. Put aside the ease, time and money savings. have a favorite outfit why only wear it once a week or once a month? Who said that an outfit that looks good on you or makes you feel good should only be worn sparingly only on special occasions? Why not craft a uniform around it? Why not look and feel good every day? Even the Pirate Costume or Naughty Nurse costume can work as a daily uniform. LOL. Hi, Tony. I enjoyed your article. I say this to friends often about their wardrobes. Most people who we view or know as being wealthy don’t dress like those who possess less wealth. I understand WHY that is now, but it is still a bit backward. You would think only women are faced with this issue, but that’s just not true. I know many men who have wardrobes twice the size of mine..they just love fashion. 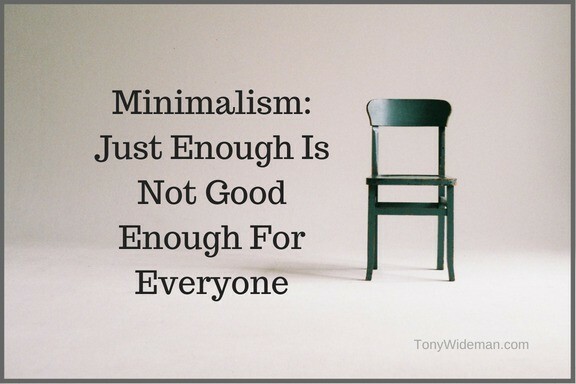 lol I actually believe in striving to be a minimalist with most things because everything seems to cost so much. Nice article. I agree Audra. Most wealthy and successful people don’t fuss with large wardrobes. Like discussed in the post money was not the deciding factor. Saving time and avoiding decision fatigue was. As you may know the less useless decisions you have to make during the day the more brain power you will have to make the important ones. It’s very easy to spend to much time thinking about what to wear that’s for sure. But I also think that it’s not so much of what other people think of you. It’s more what you think of yourself. If I can look myself in the mirror and say “Wow this shirt is really awesome on me, I’m looking real good” then that’s what I want. I agree with you that why shouldn’t you be able to wear that shirt say 3-4 times that week? Is it because people think it’s filthy that you wear a think more then once and don’t wash it? I don’t know but this article was an eye-opener for me. That is the beauty of the uniform. You can create whatever you like or create nothing at all. You can be a Police Officer, Fire Fighter or a Doctor. I am just kidding. LOL.